Good Morning, good morning! It's another wild and windy Sunday here in the Attic, I'm sat at my desk and I can hear the wind whistling down the chimney. I'm very glad to be tucked up indoors, warm and toasty, chatting to you about all this glorious Sunny colour. I realised this week how good it has been to have these bright and beautiful colours to work with at this time of year, they really do lift the spirits. I love how colours can affect our emotions and evoke memories too (oh hello hot, sunny summer days! ), it seems quite magical to me somehow. There has been some serious Sunny CAL planning going on here this week. You may remember me mentioning last week that much of my working out up to now has been based in instinct and eye? Well, I do trust my instincts and my eye a great deal but there comes a time in a large project like this when some actual workings out and calculations need to take place. As you can see from the above pictures, my methods are pretty low tech and straightforward - I am basically attempting to keep a tally of how many times I am using each colour in each position in each square. I know - this process is a weeeeny bit mind-scrambling, but I think I am managing to get a grip of it. This week I have worked on Squares 7 and 8, and realised with a bit of a delightful jolt that I am now half way through - squeeeeee!!! This is a blanket which generates a great deal of excitement and anticipation throughout the making process - the more squares that are made, the more it's possible to glimpse a little of the bigger design emerging. I am really itching to meet this blanket, soooo excited to get to the point where all 16 squares can finally join together. It keeps me inspired and happy through the weeks and months of hooking, and I really hope you feel the same if you are making the Log Cabin blanket along with me. So lets get on with the colours shall we? Remember to mark your top / first strip with a stitch marker or small loop of yarn, and also to label your squares with their number so you can identify them later. Ahhhhhhh.....beautiful, stripy, Sunny gorgeousness! I can't tell you how much I've enjoyed making these rows of colour this week, they have really cheered me when the weather has been dull, grey, wet and gloomy. I have been cosied up under this blanket as I've worked on my Log Cabin squares, kind of a colourful double wammy in my lap! 1. I wanted the blanket to start and end with the same colour. 2. I still wanted to have 18 colours in this last section (to make 90 stripes in total) but wanted to leave out the Sage colour as I'm going to use this for round 1 of the border and wanted to make sure I have enough yarn. My blanket is measuring 170cm after 90 stripes, it really is rather glorious when all laid out. Next week I'll be giving you the pattern for the Granny Stripe border - you will need to have all your tail ends darned in ready. EDIT >> thank you so much for letting me know about the Shrimp/Spice mix up - I've altered the mistake now. Stripe 76 of the Granny Stripe should be SPICE. I just finished the beautiful sunny blanket granny stripe. Last year at this time I started with your gorgeous cosy stripe blanket in the attic original colours. Never thought I would finish a whole blanket. But you turned me into a blanket addict and with this one I just finished the fourth blanket in one year. Thank you so much. The border of the sunny stripe I did in Claret, Citron and Spice. Not really the Lucy rules bust just because I love the colours that I learn to appreciate with this blanket. Hi Lucy, just wondering if we'll be using the Citron any more for the log cabin blanket? If not, I'm going to use it for another Christmas project! you dont know how much I like your posts in your weblog! I really do! I admire all your very nice works and your very nice and talent personality and the way you thinking. I have your webloge in my favorite and from time to time i visit you and really enjoy watching your colourful pictures and I encourage for new work. I love doing crochet and knitting too. Be healthy and safe and continue living better and better. Im from canada and I dont remmber if i ever write to you, but its long time that I know you. So now I write to you dear thank you thank you thank you very much;because "He who does not thank people,does not thank God! I'm still behind you Lucy,about to start square no 4 and if anyone is struggling on the colour changes it does get easier ...I'm cooking on gas now and loving it. Lucy did you see Kirstie Allsop's New Homemade Christmas 1st of 3 episode's last night? I clapped my hands with glee and delight when the guy with the Crocheted Decorated Tree won! He looked great too in all his homemade jumpers. Please know that Woolwarehouse gives excellent service to the US. Iam in Florida and it takes about 8 days In the upper right hand corner of their website you can change currency but exact amount will be determined when it clears your bank and the exchange rate that day. After 3 blocks have decided the log cabin is not for me. Have ordered 2 packs of Sunny and will do a granny strip or cosy strip or prayer shawls for my church ministry. The yarn is great to work with and the colors chosen by Lucy are brilliant. It,s a win situation. Thanks, Lucy. I love your whole work. Everything is simply amazing. How far from London area are you? 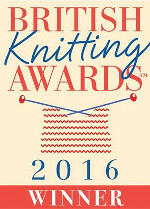 I'm taking a once in a lifetime trip to England to attend a Yarn Retreat in Lyme Regis (see link here: http://www.devonsunyarns.co.uk/shop/yarn-retreat-with-dedri-uys-2/ ) and would SO love to be able to visit the Attic while in UK. I am being hosted in England, so don't know how much free time I'll have. But I would so love to meet you and see your beautiful studio! It seems as if you are quite far from London, though. Is that correct? So I guess visiting will be out of the question - but Lucy should Pop in to the Retreat and surprise everyone! Wouldn't that be a hoot!? I so admire your work and have commented many times on your beautiful color work and your photography skills as well. Thank you so much for all you do for all of us out here in crochet-world, Lucy! I want you to know it IS SO appreciated! Tell me, Lucy, do you ever sleep or do those hooks of yours go 24/7? I can't believe the amount of work you turn out and each thing is more beautiful than the last. You are amazing! After much pondering I too decided I needed some brightness to work with during this cold winter grayness. I am doing the granny stripes but with colors I could find here. Looking forward to the border lessons - not that I'm even close but so I have a picture of things to come! Thank you, thank you! I am having so much fun working all these glorious colors. Love the colors! Are the yarn packs available in the United States? I have finished my blanket and somehow I went with 96 rows. I LOVE LOVE my blanket!!! I love the yarn and am getting ready to place another order for this yarn collection and the yarn to make the blanket that Heather made. I thank you so much for doing this CAL and I have been obessed with working on this blanket. I also made a baby stripe blanket with the left over yarn and still have a little yarn left. I'll do the pegs next so that I have the colors. But I like the colors you choose the best. I think the first shrimp on row 76 should be spice? you've also used shrimp twice. is that correct? Aghhhhh! I WISH you hadn't posted this! The photo of the Granny Stripe blanket …. I made one years ago, and saw this latest version, sent for the wool… and then saw (retrospectively) you Cosy Stripe Blanket and fell in love with that. Oh dear. I had changed my mind and was sorting out how many balls of wool I still required to make the Cosy Stripe (not many actually as I have quite a stash of Stylecraft thanks to you!) but now I see the Granny Stripe again …..
Oh WAIT!!!!!!! Of course! Why didn't I think of that!!! Solution staring me in the face! I can do BOTH!!!!!! Would it be so bad of me to have TWO blankets on the go? I think this might be the answer. Now just got to finish Ripple Number 2…….